Wyoming has more pronghorn than any other place in the world. You will experience these great numbers in the areas we hunt. Pronghorn are a very unique animal with no other relatives. They are the only horned animal that sheds their horns annually, and they are not really an antelope at all. On a typical day of hunting you will pick through many bucks. Pronghorn live in vast wide open areas which allows us to hunt them at any time of the day. This is a great hunt for introducing young or inexperienced hunters to the field, because you can be sure that you will see plenty of game and have many shot opportunities. This is also a great hunt to combine with a deer hunt since the seasons are at the same time and hunting pronghorn in the middle of the day is very productive when the deer activity is slow. The unmatched numbers of pronghorn make for some very liberal archery seasons. Our archery hunts start as early as August 15 and run through the month of September. You can test your stalking skills to the limit with the spot and stalk technique, or take it easy in a ground blind set up along travel routes or at watering and feeding areas. Our rifle seasons are also very liberal. We hunt the entire month of October and into early November. Pronghorn shed their horns in November so we only hunt the early part of the month. We typically do a lot of glassing to find just the kind of buck you are looking for. Then it's time to stalk in for the shot. It is to your benefit to be comfortable shooting at 300 yards plus because these animals have unmatched eye sight and can be a challenge to get in close to. Pronghorn hunts are typically based from our new hunters lodge at the Old West Headquarters. This is a warm, cozy lodge with four private bedrooms and two bathrooms. We always have a great cook to prepare some outstanding meals served family style. The DD Ranch consists of 70,000 acres of privately owned land in western Nebraska that sits adjacent to tens of thousands of acres of public land, giving our customers an unlimited amount of hunting ground. We are located near Chadron, Nebraska, which is on the Wyoming and South Dakota border. The DD takes a very limited number of hunters a year on the ranches. 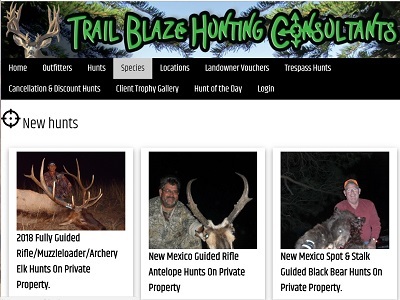 We offer a 3 Day archery Antelope Hunting package. Typically run a high kill rate on these hunts with very high shot opportunity. 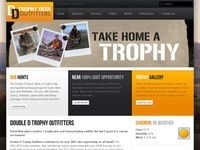 Some years vary on success usually on the kill end due to hunters missing shots. We recommend all archery hunters practice out to 50 yards and be comfortable with this range. We try to get our hunters as close as we can but not all bucks on the prairie cooperate as much as we like. Apply for the nonresident statewide archery antelope tag. Read your tag after you receive it to make sure you have the correct unit. hunters. Because the DD is a well know proven successful guide service and takes only a limited amount of hunters, we recommend that you book early. believe an excellent deer hunt requires more then just trophy deer. request to ensure that your hunt was a success.